About - Software Co | Software Development Experts. Software Co is an exclusive alliance network of premium Technology Consultants, Software Developers, UI/UX designers, Project Managers, Quality Assurance Analysts, Data Scientists, Software Architects and other technology industry professionals around the world. Top companies rely on Software Co’s alliance for their most important software development projects. Software Co’s focus is on providing pre-eminent technology services to ambitious businesses across geographies and industries. Software Co’s is an expert in digital products with world-class user experience, artificial intelligence and scalable architecture. Our team is geared to help you establish lasting change by working alongside you with modern methodology, technology, and design—all toward focusing your company culture on outcomes. We are on a mission to build a community of passionate, purpose-led technologists that are committed to delivering digital transformation and technology services from ideation to execution. Every day we think disruptively to deliver technology to address our clients’ toughest challenges, all while seeking to revolutionise the IT industry and create positive change to the clients and businesses we serve. We put a lot of thought and effort into shared team dynamics because happy people build great products together. We work in small teams because when you’re moving fast, alignment, transparency, and communication are paramount. Everyone associated with Software Co is a problem-solver and obsessed with products which offer an exceptional user experience. We all look to understand each new business as well as the business problem, before bringing an opinion and a solution to the table. We are built up of small teams from different countries, cultural and professional backgrounds, but are equally committed to a common set of values and to delivering customer ROI. 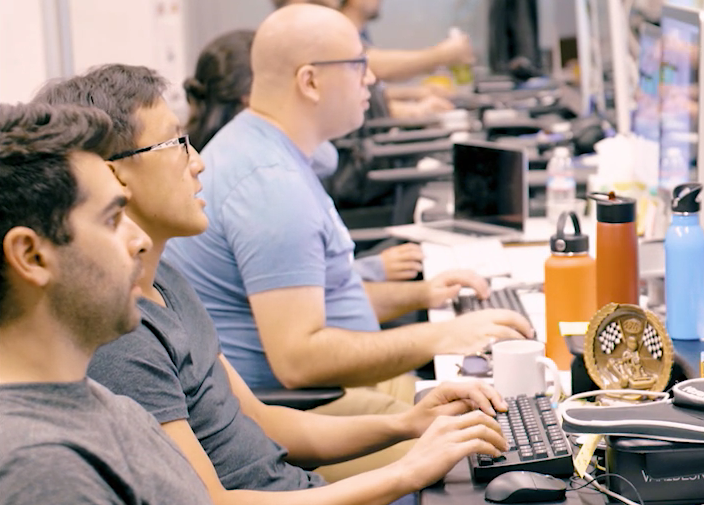 Our world-class team of agile developers, product managers, and designers works alongside you to build and deploy software differently than you have before. In the process, you become enabled to do this work self-sufficiently in the future. Your team learns cutting-edge technology and best practices the best way possible: by doing it. The knowledge you absorb while working with Software Co is just as valuable as the finished project itself. To engage with us is to learn by doing. 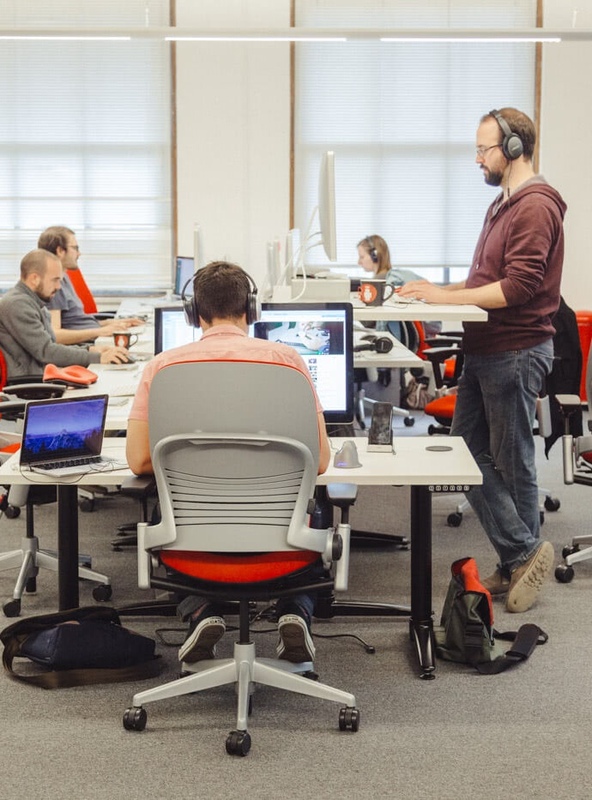 Your team members pair with our assigned team members, working side-by-side as much as possible to collectively build a great product. We practice test-driven development, pair programming, short development cycles, and continuous verification and integration of code. One result is high-quality, flexible software delivered efficiently and cost-effectively. The other result is that your team is now ready to do the same high-quality work all on its own. We hear frequently from prospective clients that it takes forever to release new features, that users aren’t adopting products, and that finished work hasn’t met their expectations. 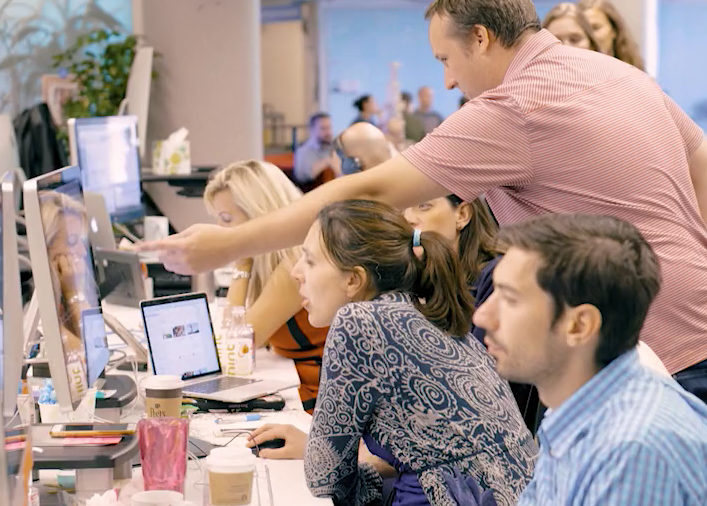 Our response to these widespread issues is what we call “balanced teams” which can build truly exceptional products. Balanced teams are small groups that bring varied skills to the table and focus on collaboration, consistent communication, and transparency in working toward a shared goal: a great product.